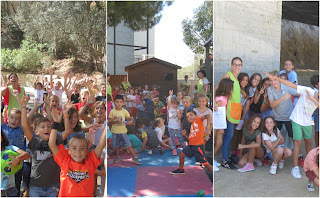 Blog Espai Migdia: WELCOME BACK EVERYONE! This week the Midday team has welcomed all the kids that will stay for lunch this year, with free play, sports and specific play spaces for games such as ludoteca and construction games. Children and monitors have enjoyed this first week of School together.